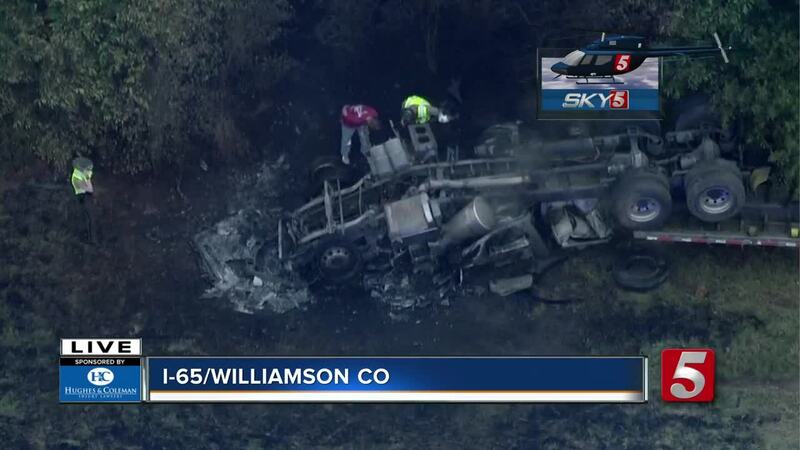 A cargo fire briefly closed northbound lanes of Interstate 65 in Williamson County. The incident happened at 5:26 a.m. Friday at mile marker 56 near Spring Hill. Sky 5 flew over the scene and showed a tractor trailer on the side of the road. It appears to have flipped before it caught fire. Details of the crash were unknown. The wreck isn’t expected to clear until 6:30 a.m.